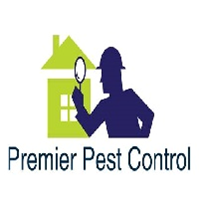 Premier Pest Control is a family owned and operated pest control company dedicated to quality service at reasonable rates. Between two of the owners, they have over 6 years in the pest control industry. We have used Premier Pest for over a year now and we have been nothing but pleased with their services! They are prompt, professional, courteous and gets the job done! I would even say they go above and beyond what is expected. If you have a problem, they guarantee their work. I highly recommend their services! Brian was very professional and prompt. Would highly recommend him! Quick reliable and effective as well as affordable. I can honestly say this is the best pest control in Farmville!!!! We have never had an issue with the service. They are very professional, efficient and informative during every routine inspection. We are very pleased with their services!! I would recommend Premier Pest Control. Brian is very polite, dependable and does a great job. Premiere is a family run business, which I love. Brian was professional, kind, and patient with my elderly mother and her huge ant problem. He explained everything and the cost which I feel is reasonable. On the initial phone call his wife was very professional, but warm. After the first treatment ... no ants! I have bought the year service for my mother. However, neither Brian nor his wife were pushy. They left it all up to us. I would definitely recommend Premiere. I enjoyed my conversations with Brian Distler. He is well versed with all aspectes of your program. Your customer service provided was excellent. Thank you for the job provided to your business. We look forward to doing business with you in the future and will recommend you highly! Sharon Hayes, Site Manager, NMA. Had a problem. Called Premier. Problem solved. Good people and a good price. I'm happy! Premier Pest Control is a small family run business. They are always very prompt to respond to any concerns or issues, they come when scheduled, and the quality of their spraying is wonderful. Highly recommend using this service. The Brices. Best pest control in Farmville Virginia!!!! Have never had any issues with the service. Fast and efficient staff that are attentive and informative. I have only had 1 treatment so far but can say the service was great! Only wish we could have treatment every 2 weeks instead of monthly. Lots of trees in my area so additional treatments would truly make the difference. Excellent service by Brain and his team. Very pleased with the service. Arrived on time and completed the job as scheduled. Though they were very busy, they made time to resolve a raccoon problem that popped up later in the week. The service people are great & very accommodating. I highly recommend Premier. I only requested an estimate for some work to be done but the service I received was very helpful and professional. Great job. Happy with service and promptness. The service was prompt and courteous. Brian was thorough and explained all the different pest that he would be treating our house for. The service person is very courteous. He is careful not to let my cats out. And always listens to my concerns. Effective service and great customer service. I would highly recommend! The bugs are dying and it doesn't cost as much as competitors. Technician is very knowlegeable is easy to work with. Good so far but have a few lingering spiders. Premier Pest Control did an outstanding job. From contacting me back immediately and getting the job done in a timely and fashionable manner. Everyone I talked to was very friendly and helped me out along the way when any issues or questions arose. I would recommend this company for anyone who needs those "pesky pests" gone. Great job, guys! You guys were great. You came when you said you would and when our problem was caught you took care of it. Good service and they do what they say they are going to do. Quick response! Very professional and courteous! Will definitely use again and recommend! The Best service you will ever find!!!!!!!! Brian was very thorough and knowledgeable. Arrived promptly and full explained any and all cost of treatments. Would definitely recommend and reuse services. Very pleased with the service. Very fortunate to find a company that can deal with carpenter bees. Excellent work. Will probably have you back again.